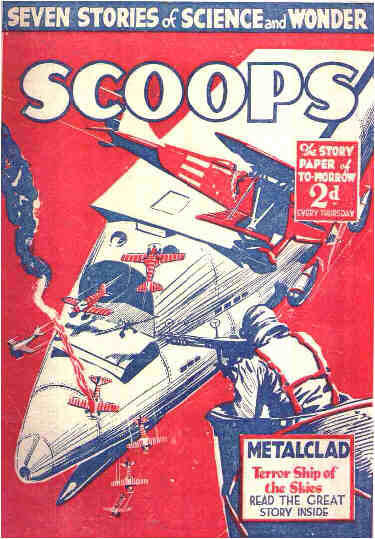 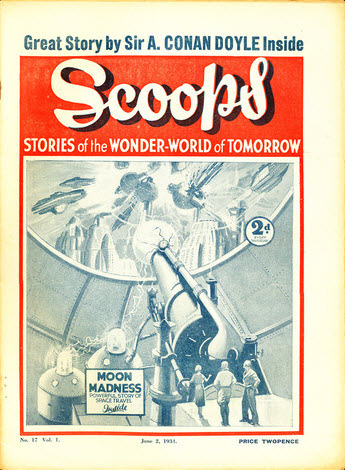 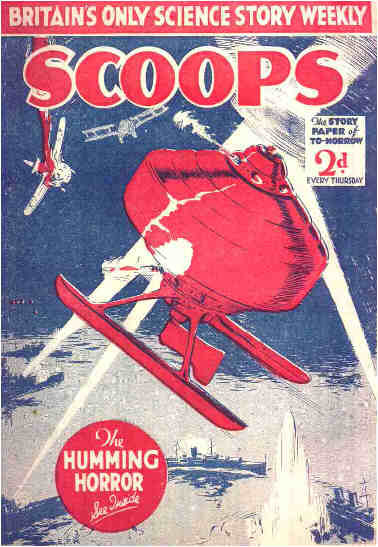 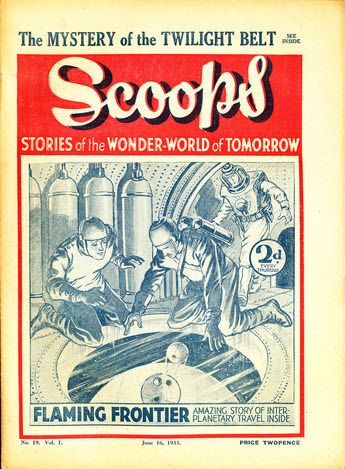 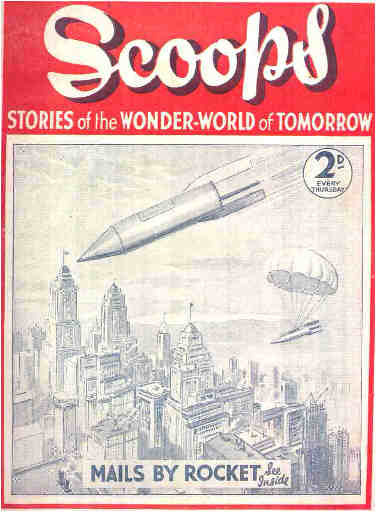 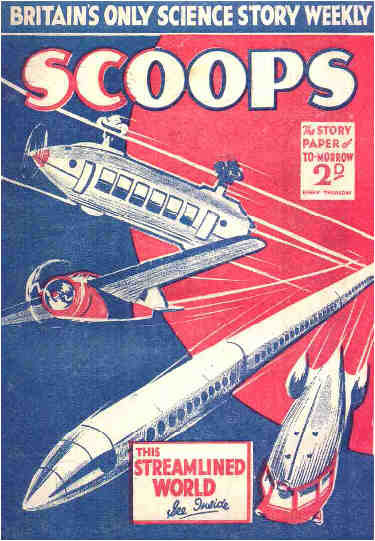 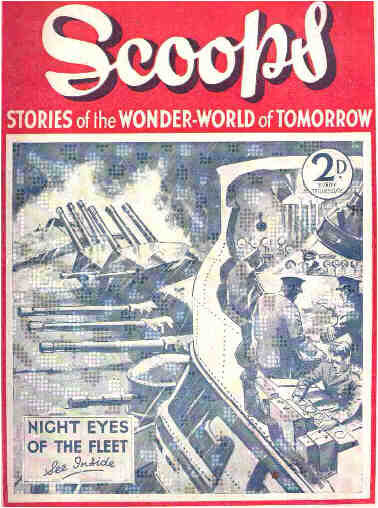 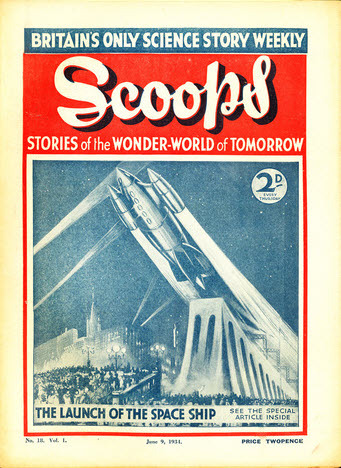 511 · Scouts of Space [Peter Thorpe; Bill Reed] · Moore Raymond · ss; sequel to story in May 5, 1934 issue. 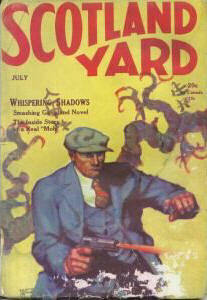 Given as Scorpion Magazine on the cover. 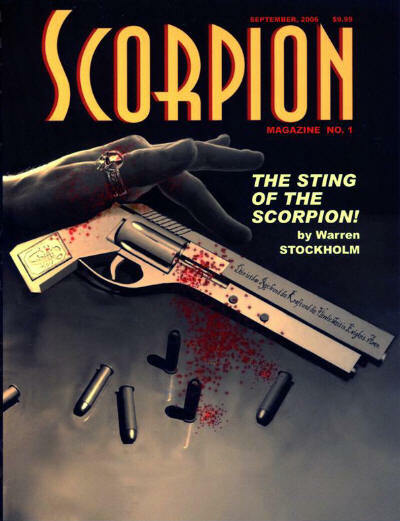 5 · The Sting of the Scorpion [Kurt Reinhardt, The Scorpion] · Warren Stockholm · n.
Stories in earliest issues are not credited to an author, and most others to a title rather than a name. 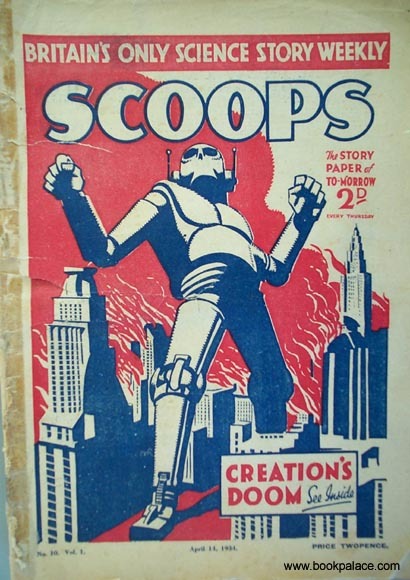 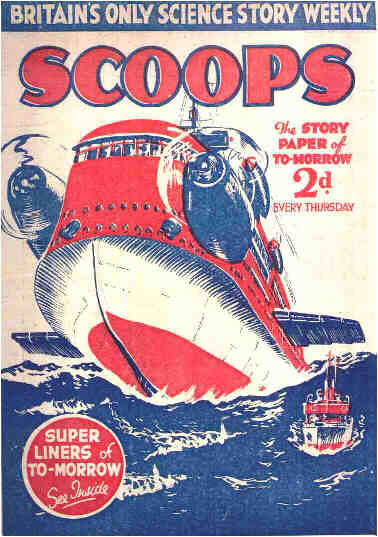 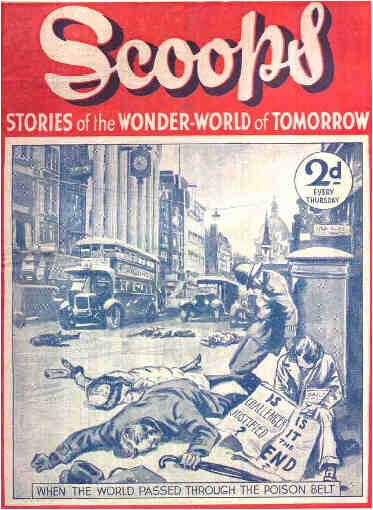 Publisher bought English pulp stories cheaply and had them rewritten. 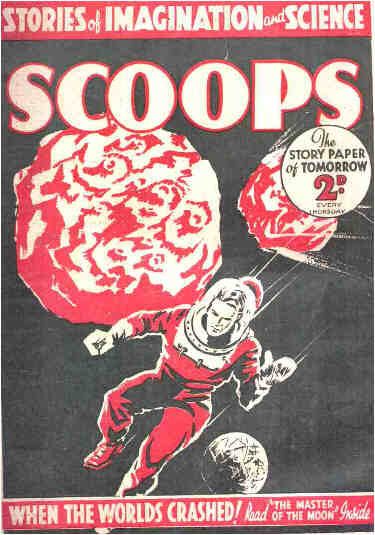 These were claimed to be true, but are obviously fiction. 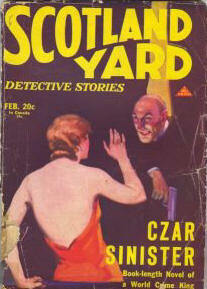 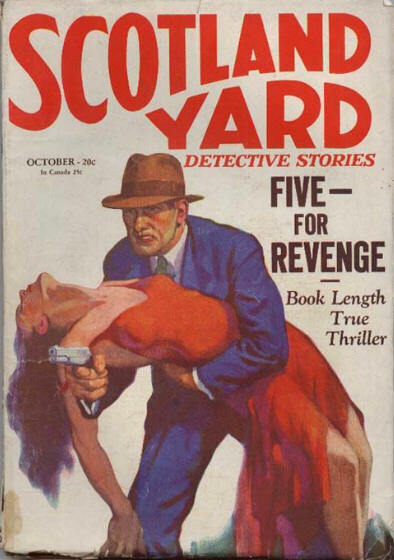 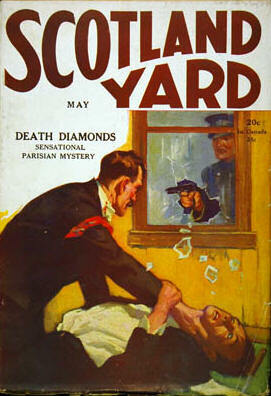 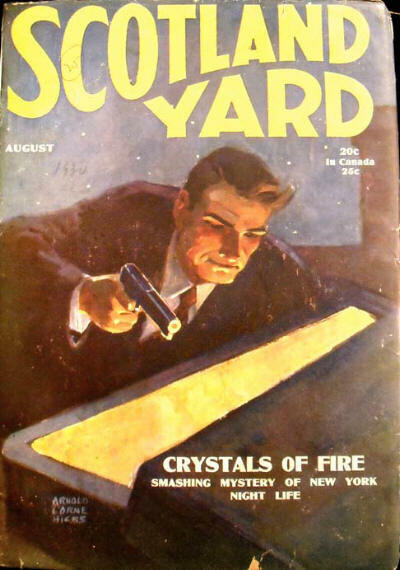 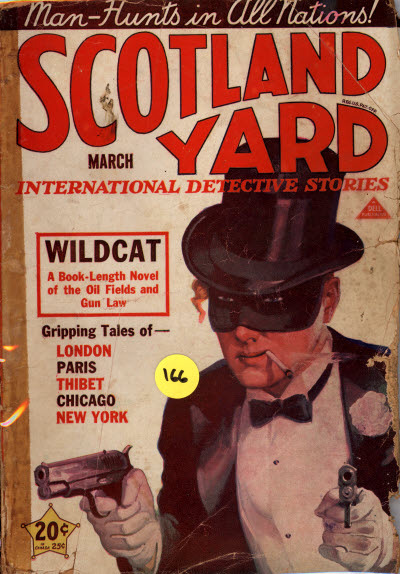 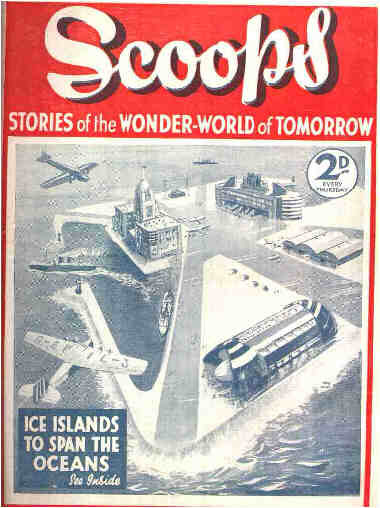 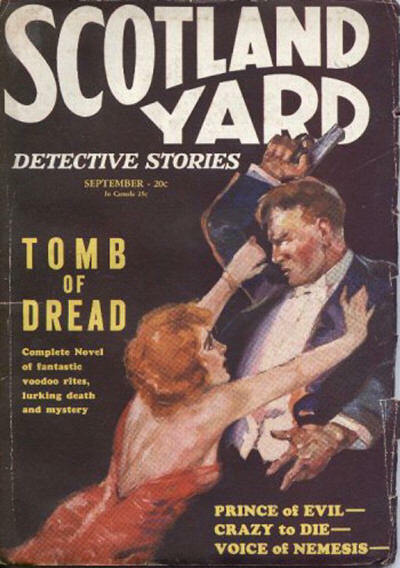 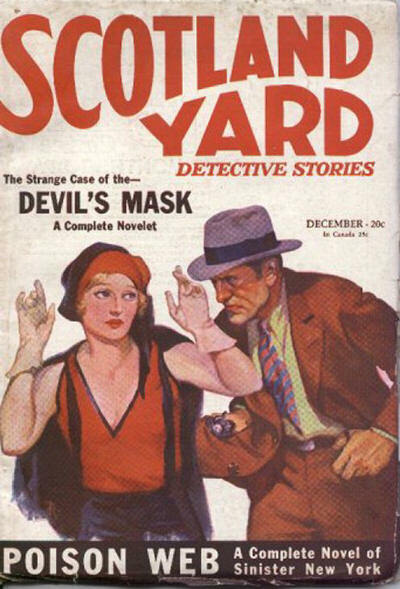 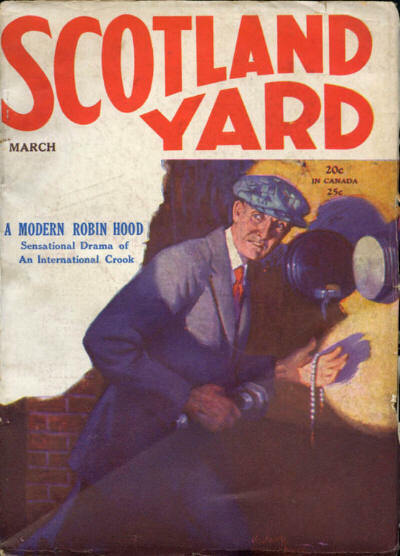 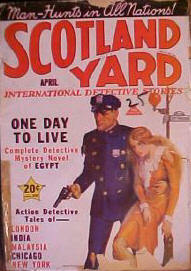 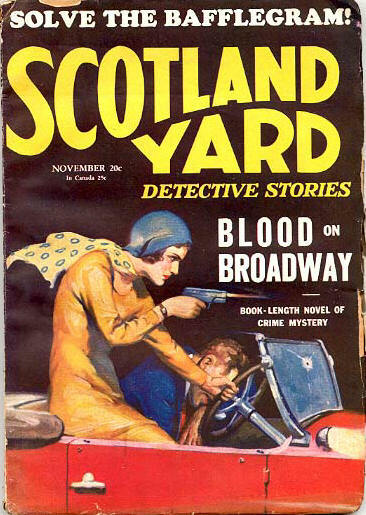 The title on the cover was occasionally Scotland Yard Detective Stories or Scotland Yard International Detective, but the title on the masthead was consistently just Scotland Yard. 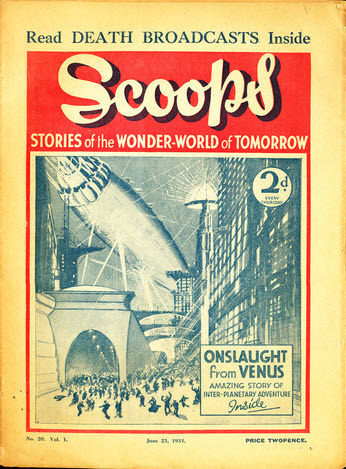 Given as v2 #4 in the Table of Contents.